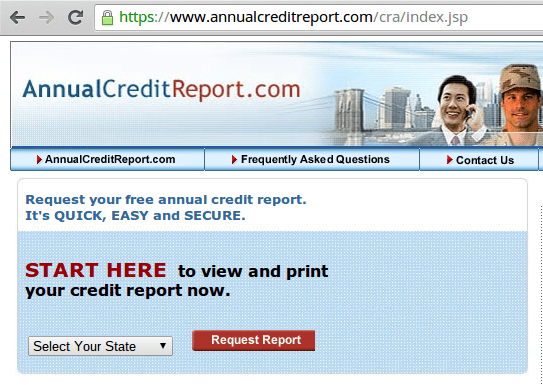 When you order your $1 Credit Report and Score here, you will begin your 7-day trial membership in freecreditreport.com. If you don't cancel your membership within the 7-day trial period*, you will be billed $16.99 for each month that you continue your membership. You may cancel your trial membership anytime within the trial period without charge. The Federal Trade Commission has received complaints from consumers who thought they were ordering their free annual credit report, and yet couldn't get it without paying fees or buying other services. TV ads, email offers, or online search results may tout “free” credit reports, but there is only one authorized source for a truly free credit report. Okay so you can get your report once a year for free, but how can you check it three times a year for free? You can have it email you as well to remind you to get it done (part of automating your finances, something I'll be writing about soon). And that's it. Using a simple calendar/time hack, you can keep an eye on your credit report throughout the year for exactly $0. And that's really the best price, isn't it? After checking your credit report, why not get some credit cards with excellent sign up bonuses? There's lots of free travel and hotel stays out there for the taking. I love the fact that you can check free. I don’t believe they should be allowed to charge you to see your own reports! Thanks for sharing!